why commerrce students was apply in nda not allowed? Can I join Indian Army through NDA written exam being a commerce student in 12th (HBSE)? What is the difference between NDA 1 and NDA 2? After getting qualified in written exam can we give interview in Hindi language? Is there any age limit for NDA 2? Can we directly attempt NDA 2 without attempting NDA 1? Can a commerce student apply for NDA written exams? Is it compulsory to have science subjects in 12th? Are commerce with maths students eligible for NDA recruitment or not? Why can a commerce student cannot join Airforce through NDA? Re: Why commerce students are not allowed to attempt NDA written exam? You have wrong information . Yes , Commerce candidate cal apply for NDA exam .But you can not apply for Indian Navy and Indian Air force , You can apply only in Indian Army post . The details of NDA exam is given below - The pattern for NDA exam is given below , So if your 12th standard have mathematics then you have chance to take some advantage for written test for NDA exam . If you have completed 12th standard with Physics and Mathematics then you can apply all wings conducted by upsc otherwise you can apply only Indian Army post .Final year of 12th standard can also apply here .There is not require any kind of percentage marks in 12th . Your age should be in between 16.5 to 19 years old .You have citizenship of India .Only unmarred male candidate can apply here. For more about NDA exam , you can visit to http://www.upsc.gov.in . As per question: NDA(National Defence Academy)entrance examination is conducted by UPSC twice in a year. There is no restriction on behalf of UPSC procedure that commerce students are not allowed to attempt in NDA exam.So, friend you can clear your doubts followng UPSC NDA ELIGIBILITY? 1.Any 12th standard(Arts/Commerce/Science)from the recognized board can write NDA and can join in Indian ARMY WING . 2.Only Science background students having physics/chemistry/mathematics can write NDA for Army/Navy/Air Force. 3.The age of the NDA candidate must be within 16 1/2 years to 19 years. 4.An unmarried Indian male candidate can write NDA entrance exam. 5.Eye sight of the NDA candidate must be normal ie 6''/6'' free from color blind and night blind diseases. 6.The height of the NDA candidate must not less then 157.5 cms. Holding these UPSC procedure a 12th commerce background student can do NDA and can join to the Officer post of Indian Army wing. you are going wrong. Commerce students can also apply for NDA exam. but the thing is that you can apply for the posts in Indian Army only. you can't able to apply for the posts in Indian Navy or Indian Air Force. because for Air Force and navy you need 12th with Physics, Chemistry and Mathematics or equivalent and for Army you need 12th in any discipline from recognized board or College . you can also apply for the exam while pursuing in 12th. 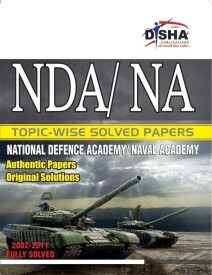 NDA stands for National Defence Academy. The exam is conducted by UPSC twice in a year named NDA-I and NDA-II. The exam is conducted only for unmarried male candidates. commerce students are eligible to appear for NDA examinations but they can join only Army because educational criteria for joining Air force and NAvi is that one must have passed class 12th examination in 10+2 pattern with mathematics and physics as compulsory subjects in class 12th board examinations. So commerce students can definitely for NDA but can only join army. >Candidate must be an Indian. >Candidate's age limit for appearing in NDA exam is 16.5 to 19 years for all categories. There are three wings in the NDA exam, indian army, navy and the indian air force. For chosing the indian army and navy wing, you need to be a 12th class passed/appeared but for the indian air force wing, you need to be a 12th class passed/appeared and you should be having physics and mathematics as your main subjects in your class 12th. The candidate must be studying in maths,physics and chemistry subject in 12th standard for NDA exam.the commerce students are not eligible un air force, navy.but you can apply only army. Your information is wrong, Commerce students are too eligible for appearing in NDA Exam. Though they don't have Physics and Mathematics as their subjects, but they can appear for NDA Exam. They can apply for Army wing of NDA Exam only. >> Only Unmarried Male Candidates can apply for this exam. >> Age of the candidate must lie between 16.5 to 19 years or you must have born between 02-01-95 and 01-07-1998. >> You must be 10+2 passed/appearing from any stream. Definitely a commerce student is eligible for NDA exams. But a commerce student can only join the Indian army wing of National defense academy, he/she is not eligible for the for the Indian air force or Indian navy. For Indian navy and Indian Air force you should be the student of science. 2. age - between 16.5 yrs to 19 yrs. 3. you should be male candidate. 4. you should be unmarried. after satisfying the above criteria then you can appear for NDA . WHAT YOU HAVE HEARD IS ABSOLUTELY WRONG ..
"" COMMERCE STUDENTS ARE OF COURSE ELIGIBLE TO APPEAR FOR THE EXAM ""
The thing is that "" You must have a minimum of 12th class ""
No my friend you have some wrong information about NDA eligibility. Every Indian citizen eligible for the NDA exam. A commerce student also eligible for the exam but only for the Army wing . => one must have minimum 12th passed from any recognized board in any field. => For navy & air force wing one must passed the 12th with maths as one of the subject. => Age limit : 16.5-19 years , no age relaxation for any reserved cast. => Only unmarried male candidates are eligible. So above are the criteria that one have to fulfill for giving the exam. So you can eligible for the exam. The exam having two papers. Those who qualify in the exam will be called for a SSB interview. So start the preparation for the exam and give it. For NDA exam those candidates can apply which have science and maths are the core subject in 12th. It is the restricted rule for that exam. You must be physically good. Friend, since the NDA the paper is held for the students who have completed their 12th with the PCM as their main subjects because the NDA question contains the questions of Maths,Physics and Chemistry in it, therefore the commerce students can't answer these properly. The commerce students can join the Army,Navy or Air force by giving the CDS exam after their graduation. The CDS(Common Defence Services) exam is be given after graduation in any field. NDA is between the age of 16.5-19 years. The CDS is given in the age of 19-24 years. I hope you would have got the answer to your question. It is wrong information you have that Commerce students can not apply for NDA examination. 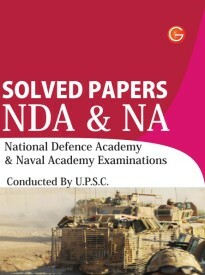 NDA examination is conducted every year twice in the months of April and August. The NDA examination is conducted by the UPSC to recruit candidates in the three wings of Indian defense. All the eligibility criteria for three wings are same but candidates with PCM as compulsory subjects in 10+2 are eligible to apply for Indian Navy and Indian Air force Whereas candidates who have 10+2 in any stream can apply for Indian Army. Age - 16.5 to 19 years. You must have to satisfy the above four eligibility also to be eligible for the examination. That's really a wrong information friend, commerce students are also eligible for NDA exam. But commerce students are eligible for only Indian Army academy. The required qualification is a candidate who are completed their 12th standard with PCM subjects are eligible for Indian Navy and Indian AirForce academy. Age limits of the candidate should be in between 16.5 years to 19 years. A commerce student is ELIGIBLE to appear for NDA. A commerce student can apply for NDA for INDIAN ARMY post But he cannot apply for Indian Army or Indian Navy because Physics,Chemistry,Mathematics Subject is necessary Subject for Indian Air Force and Indian Navy. >> Candidate have to Pass Class XII board examination in any discipline.No minimum marks required Class XII in order to qualify for NDA. >> Class XII examination appearing candidates can also apply for NDA. >> Age of the candidate must be at least 16 and 1/2 years and not more than 19 years as on 1st January for NDA I and 1st July for NDA II of the year of Examination. >> Only unmarried male candidates can apply for NDA. >> citizen of India,subject of Nepal or Bhutan can apply for NDA. >> Physical Fitness is most important in NDA. Candidate have to physically and mentally fit. No application fee is required for SC/ST/OBC. Being a commerce student you can apply for the NDA exam but for the Indian Army only..
To apply for this exam you must have following criteria to be satisfied..
Education eligibility: 12th passed under a recognized board. Age Limit: 16.5 to 19 years. There is no relaxation in age to any category. You have wrong information Commerse students are eligible for NDA but for Army post only. Check below for eligibility criteria. I think you have wrong information that commerce students can not apply for NDA. Actually Commerce students are also eligible to appear in NDA exam but only for army post. Commerce students are not eligible for Indian Navy & Indian Air force. What is the difference between NDA(I) and NDA(II)? Am I eligible to appear in NDA(II) again if appearing in NDA(I) exam? 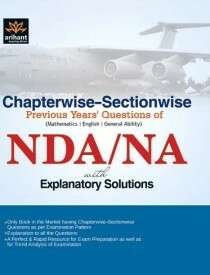 Which book is considered best for the preparation of NDA exam?